We’re all about speed at FASTDATA.io. 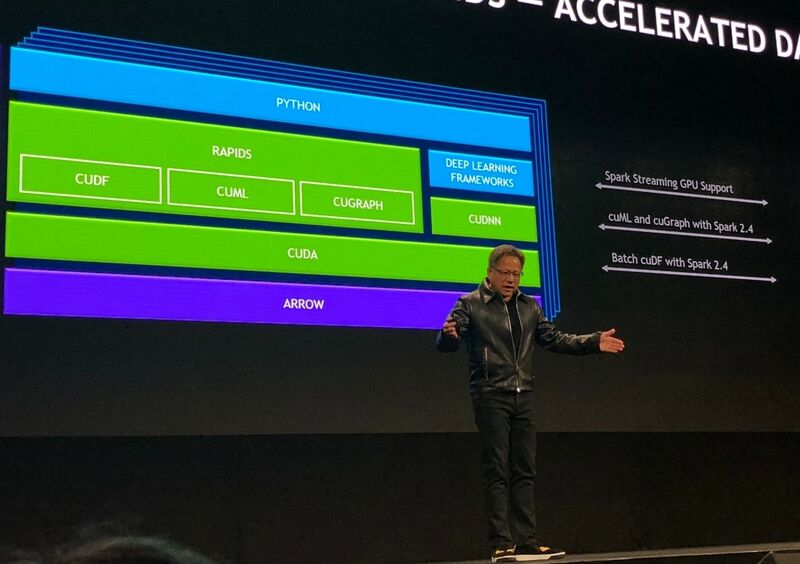 It’s what attracted our founder Alen Capalik to NVIDIA GPUs in the first place, and it’s what makes us incredibly excited to contribute to NVIDIA RAPIDS — the newest open source innovation from NVIDIA set to exponentially accelerate the data science pipeline. By running the entire training pipeline on a GPU, RAPIDS will introduces a level of speed to the data science workflow previously thought impossible. Building superior models requires data scientists to train, evaluate, and retrain their predictive models with near-infinite iterations. Today, those iterations take days. With RAPIDS, they’ll take minutes, and, in some cases, seconds. Additionally, it will allow Fortune 500 companies to avoid investing in thousands of CPU servers and massive data clusters. GPUs were made for speed and efficiency, and RAPIDS is the perfect solution for data scientists at a critical time. “RAPIDS is going to revolutionize the data science pipeline,” says Capalik. Plasma Engine™ by FASTDATA.io, a stream processing software built to handle massive amounts of data, has outperformed CPU-bound Apache Spark by an average of 200-1000x by exploiting the incredible processing power of GPUs. Within RAPIDS, Plasma Engine’s ability to process the near-infinite iterations up to 1000x faster will significantly reduce training times and allow data science as a whole to progress at warp speed. This acceleration will have far-reaching impact on almost every major industry, including IoT, Telecom, Retail, Finance, AdTech,Health, Energy, and Security. Modest improvements in the accuracy of predictive models can have a massive impact on a company’s bottom line, and the societal impact of this time-savings when it comes to things such as disease prevention cannot be understated. Up until now, data science has been stuck in the past. Today, with RAPIDS and Plasma Engine by FASTDATA.io, the future of data science is finally here. Revolutionizing the data science pipeline. We’re all about speed at FASTDATAIO. PlasmaENGINE® by FASTDATAIO, a stream processing software built to handle massive amounts of data, has outperformed CPU-bound Apache Spark by an average of 200-1000x by exploiting the incredible processing power of GPUs. Within RAPIDS, PlasmaENGINE®’s ability to process the near-infinite iterations up to 1000x faster will significantly reduce training times and allow data science as a whole to progress at warp speed. Today, with RAPIDS and PlasmaENGINE® by FASTDATAIO, the future of data science is finally here.